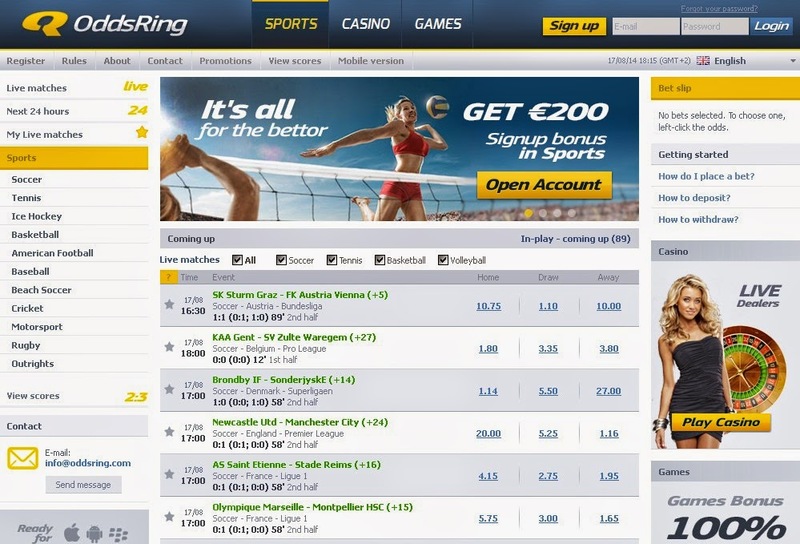 About Sportsbook OddsRing is a company which have license of Malta by the Lotteries and Gaming Authority. OddsRing website is done really well. It is above average in both aspects: graphical and technological. Nice and soft colors do not tire your eyes quickly so you can betting all day long! Oddsring offers a good range of sports events and all most popular betting options, including asian handicaps on the bigger leagues. 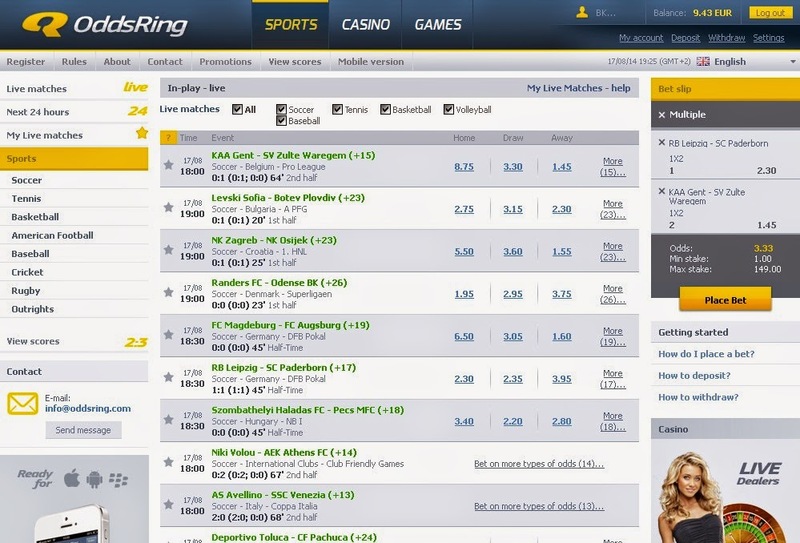 Odds at OddsRing are currently one of the highest in the Internet! The limits of betting are openly displayed to everyone and varying between 200 and 3000$ depending on the importance of the event. Oddsring offer a high level of choice and support along with some of the speediest transaction services anywhere online. Bonuses and Promotions OddsRing currently has one of the biggest welcome sport bonuses in the Internet. 200% on the first deposit up to 200 EUR, this is what you will get by registering at the OddsRing! What is more important – you not only don’t have to turn this bonus, but there is no time limit to completely get this bonus. But if you want to withdraw this bonus you have to earn 5000 Oring points. To earn these points you have to simply play at OddsRing because you will earn points just by betting, whether your bet will win or lose. 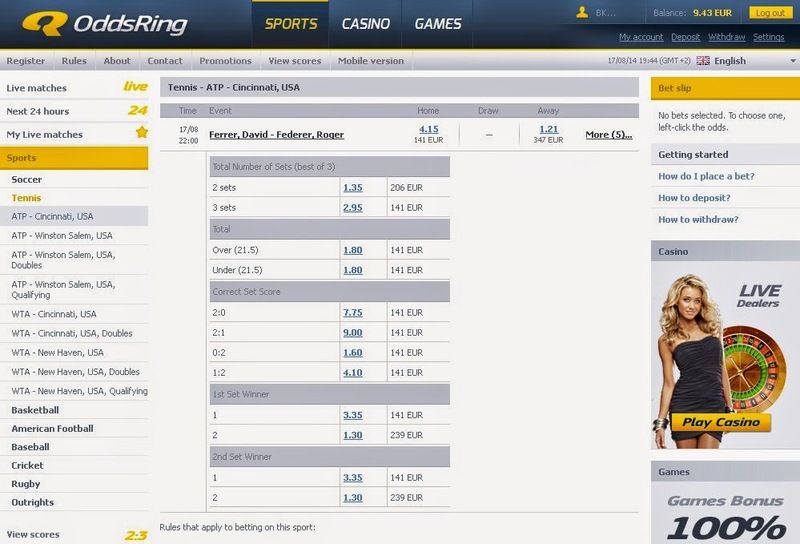 The so-called "ring points" collected from every bet can be also traded for various prizes.